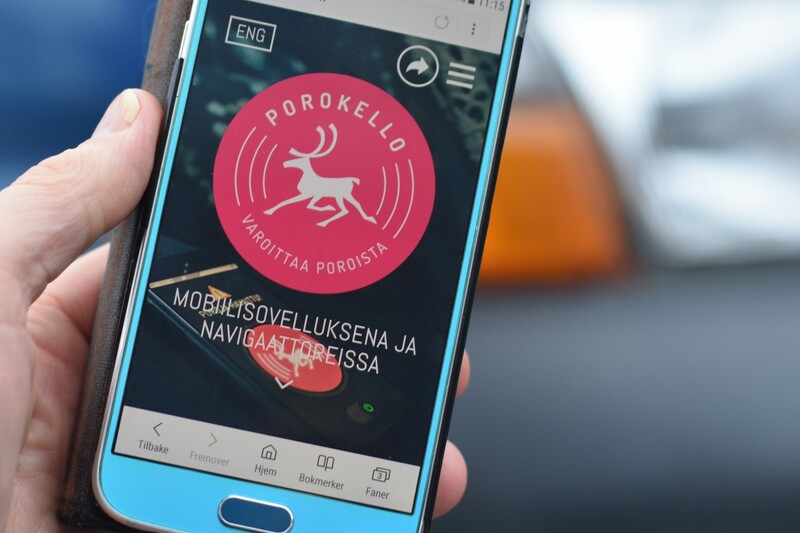 Finland launches mobile app making your drive through Lapland much safer. The app is free and available in Google Play, App Store and some vehicle navigation systems. With the alert online on your smartphone, you will receive real-time alerts of reindeer on the road when you are driving, or you can view live reindeer alerts on the map. The app, created by Lapland Centre of Economical Development, sends you a gentle sound of a bell, like the ones Santa Claus’ Rudolf carry on his neck, once you are approaching an area where reindeer recently are spotted. Reindeer warnings are registered to the system by more than 1,800 professional drivers, that be truck-drivers, taxi-drivers and others, who traverse the roads of Lapland every day. If they spot a reindeer on the road, they submit the info by pushing the app and the online information registre the geo-location and makes it available within seconds for all app users approaching the same site on the road. A warning is valid for one hour after being logged into the application. When the reindeer moves, others of the 1,800 professional drivers will mark the changes and by that the system is constantly updated around the clock and you will get the warnings wherever there are reindeer on the roads in Lapland. The Centre for Economic Development, Transport and the Environment of Lapland has been recruiting professional drivers as warners since June 2016 and they now sends out between 50 and 1,000 reindeer warnings per day based on their sightings. Ahti Lahtela, Managing Director of Paikkatieto Online Oy, the company developing the application says to the Barents Observer that the app is a great success so far. “The application has been installed about 30,000 times and there is 1,300 to 1,800 daily users,” Lahtela tells. “I haven’t crashed with reindeers, but I see them almost every day on the roads,” he says. Testing the system before making it available to the public, the professional drivers alread see a decline in reindeer accidents after June 2016. There were 3,470 reindeer accidents in 2016, which is 838 less than the previous year when 4,308 accidents happened. The goal is to improve traffic safety and halve reindeer accidents by 2020. If your car has the latest vehicle navigation system that receive V-Traffic information, the sound and screen will automatic warn you when the Reindeer Alert system is installed. Today, V-Traffic service reaches over half a million road drivers in Finland through navigation systems. The reindeer alarm app was recently awarded the police’s National Road Safety Prize for 2017. So far, the app can only be downloaded in Finland, but its creators think it would be suitable for improving road safety in northern Norway and northern Sweden as well. Testing of the app started in 2015, and based on feedback the final app is now launched and available for download in Finland.